installing the IMS solution at home,.?? Since the IMS Solution lists for $1,849, $3,300 doesn't seem outrageous but it is a lot of money. I have no DIY experience, but if you end up doing it yourself, here are a couple things I learned from my shop when mine was done. The flexible oil line from the spin on filter adaptor to the IMS end plate cover was overly long so they had it shortened. Yes I thought it seemed fair..they have the tools,..and I know I could rent /use them for free now I think,..But, locking in the timing might be trickey if I screw that up I would have to tow to a shop to get that fixed and their goes any savings I may have had,..unless locking in the timing is simple,.?? new PP bolts etc,..Plus Iam sure NO warranty if you do it your self..!! I'm big on DIY because I believe no one will do something with the care and attention to detail that I will, particularly on my boat, but even I have to admit to myself sometimes that there are things better done by a professional. its definitely doable. Just go slow, double check each step, and make sure you have everything locked before you start undoing the crucial bolts. I'd do it myself if it presented itself. Just finished putting the Solution in my 3.2L. Did the pre-qualification punch list. Found the LNE Instructions well written and I went slow. Have not had time to put the engine back in the car yet but don't anticipate any problems. There is absolutely no reason why the IMS Solution cannot be done in a home shop; 90% of the Solution installation is exactly the same as any of LN's other retrofits. You need to follow the instructions, take your time, and don't make any assumptions. Just noticed that Pelican has 15% off on the IMS Solution right now. That's a savings of $277! 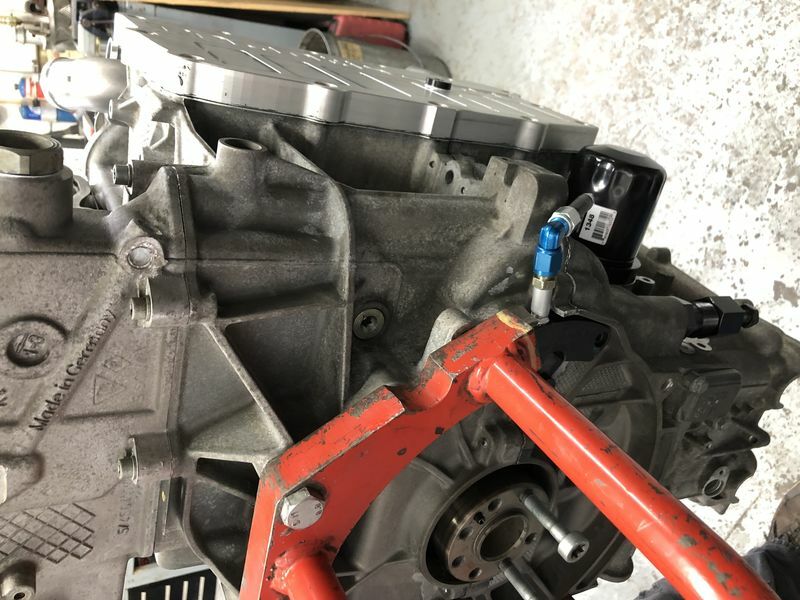 As I prepare to put my EBAY engine in my car, I am trying to avoid the slippery slope of replacing things just because the engine is out of the car. So far, did IMS Solution, RMS, H2O pump, lo-temp TStat, DM flywheel, clutch & PPlate. I'd like to stop here but it's a 54K engine and has been sitting on my stand since 2015. Do I need to do the fuel injectors and AOS or are those easy to do later even with engine in the car? I would at least do the AOS, which is out in the open now but won't be so when the engine is in the car, and it should also be easier to do the long hose that runs through the intake to the AOS. I would also consider doing the coolant tank (we only use the factory part) while the engine is out, again because it is simple now. I would also look very closely at the oil fill tube and consider doing them for the same reason.